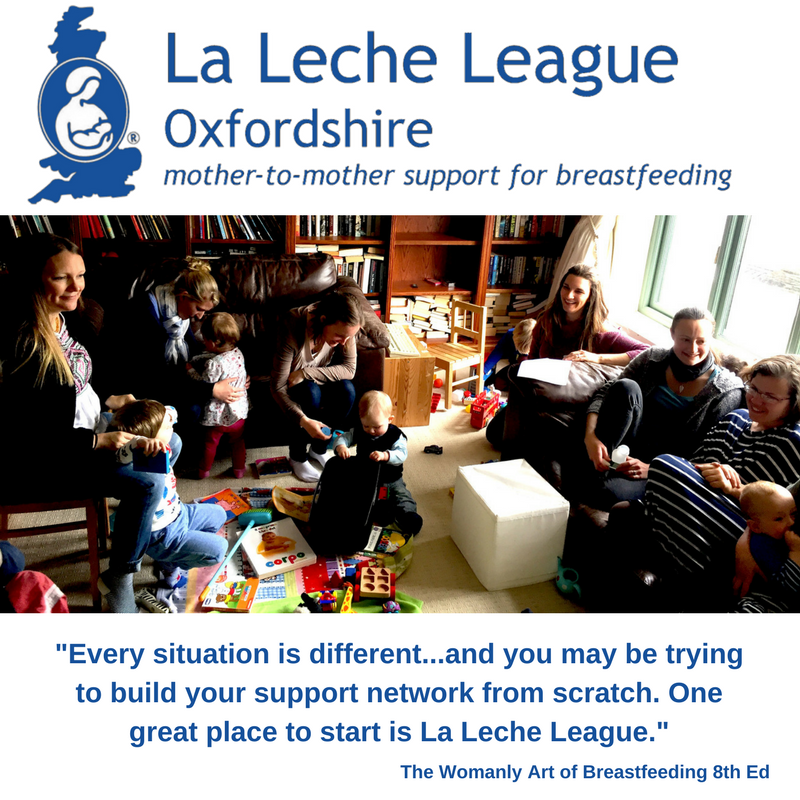 Welcome to La Leche League Oxfordshire! La Leche League's mission is to help mothers worldwide to breastfeed through mother-to-mother support, encouragement, information and education, and to promote a better understanding of breastfeeding as an important element in the healthy development of the baby and mother. La Leche League is an international, nonprofit, nonsectarian organization dedicated to helping women who want to breastfeed. Monthly Oxford City Baby Meetings, where you can receive help and reassurance from LLL Leaders and meet other breastfeeding mothers with young babies (we repeat each one to keep numbers manageable – see listings). Lending library with books on childbirth, breastfeeding, and related subjects. Sales of books from the LLL catalogue, breastfeeding cards and more! You can take out membership in La Leche League Great Britain at any time during the year by joining online here. Details are on our membership page. Or if you would rather make a donation to say thank you for help you've received you can donate online here. To receive news of local meetings please join our mailing list. Please note: In order to comply with the data protection reguluations (GDPR) we started a whole new mailing list in May 2018. If you are in doubt about whether you are on this list please feel free to sign-up again to make sure you don't miss any meeting reminders. Between meetings you can keep in touch by joining us on our Facebook groupand see our events listing on our Facebook Page. LLL Great Britain has been helping and supporting families for over 46 years. LLLGB's website provides a wealth of evidence-based information as well as the experiences of many breastfeeding mothers. Our national helpline number is 0345 120 2918 and you can submit an online help request here.